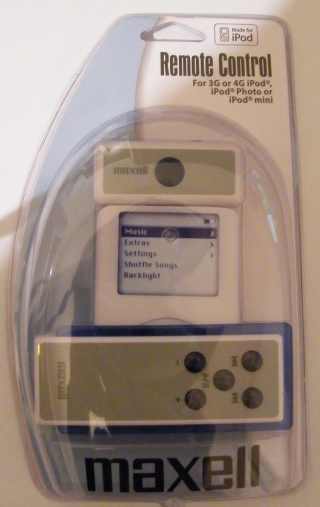 I Picked up an Maxell IR remote control for an IPod 3G/4G at the local 99p store. The IR Receiver unit works at 3.3v and provides a standard serial uart output , Ideal for interfacing to the STM32 Discovery board. There is now a how-to for using all open source software under Windows for STM32 Discovery development using the Eclipse C/C++ IDE and the Code Soucery Gnu Arm tool chain. 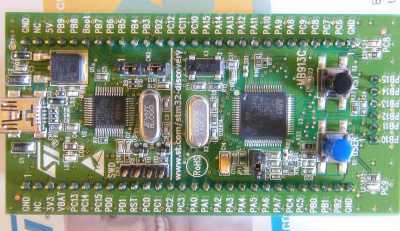 The STM32 Value Line Discovery is a nifty little demo board available in the UK for around 8 quid. It has a built in STLink USB programmer / debugger and a target SMT32F100 micro controller from STmicro's value line range which happens to be a pretty capable beast running at 24 Mhz with 51 GPIO pins all available on the DIP Header allowing the STM32 Discovery to be plugged straight into a breadboard. The GPIO pins can also function as one of a 1.2us ADC with 16 channels , No less than 12 Timers , Two 12 mbps SPI , 3 Usarts, Two I2C and one CEC interface's. It comes with 128kb built in flash and 8kb ram. Free but somewhat limited development software from STmicro's partners is also available for download from the STM32 Value line website as is some sample code. You can pick one up one of these bad boys in the UK from Farnell here Or search on the order code STM32VLDISCOVERY. Bad news for Linux users , The STLink is Windows only I'm afraid as is the free development software but you should be able to program it with any JTAG/SWD programmer and ignore the STLink part. For more information and some close up pic's take a look here. Welcome to the Nano Age Blog, All things STM32 / STM8 you can find here.